THE finalists lined up from all over the country, but in the end it was all about Scotland’s two biggest cities. 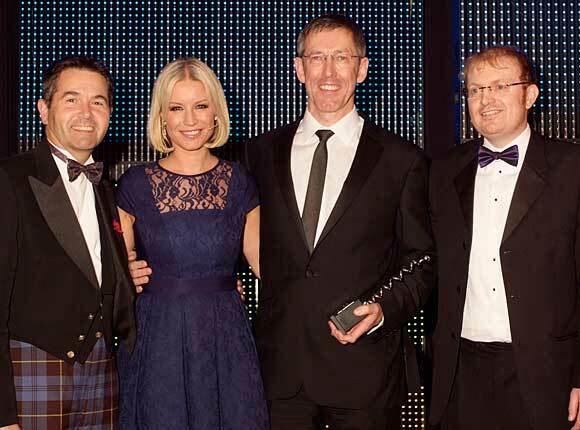 People and venues from Edinburgh and Glasgow dominated the honours list as the 16th SLTN Awards were unveiled by celebrity host Denise Van Outen. The glamorous star of stage and screen took to the stage at Glasgow’s five-star Hilton Hotel to present a record eight prestigious SLTN corkscrews to capital businesses, in categories ranging from spirits bar and mixologist of the year to the wine and cider awards. The evening was almost as memorable for the trade in Glasgow, with the city’s outlets and individuals netting an impressive six gongs, including the awards for hotel, music bar, late night venue, barperson, independent pub/bar and licensee of the year. But the big cities didn’t have it all their own way. There was success for Fraserburgh bar Cheers, which took the award for best smoking facilities, and Niki’s Lounge in Galashiels, named community bar of the year. The Auchrannie resort on Arran took the gong for family outlet of the year, Scotts in Largs triumphed in the champion of industry category and the social responsibility award went to The George bar in Hamilton. Three businesses took two awards on the night: Ayrshire operator Buzzworks added the title of independent multiple operator of the year to its champion of industry award for Scotts; the Roseleaf Café in Leith came out on top in the beer quality and pub caterer awards; and Neil Connolly was honoured as licensee of the year after his venue, Moskito in Glasgow, was named independent pub/bar of the year. The ceremony culminated with the presentation of the Award for Industry Achievement, which this year went to Steve Mallon, the managing director of Maclay Inns. Mallon, who joined Maclay as finance director, rising to MD in 2001, expressed his surprise in joining the illustrious cast of past winners of the award, which includes Montpeliers’ founder David Wither, former Belhaven boss Stuart Ross, and last year’s winner, Peter Taylor of The Townhouse Collection. “This is such an amazing honour – I can’t quite believe it,” Mallon said in his acceptance speech. 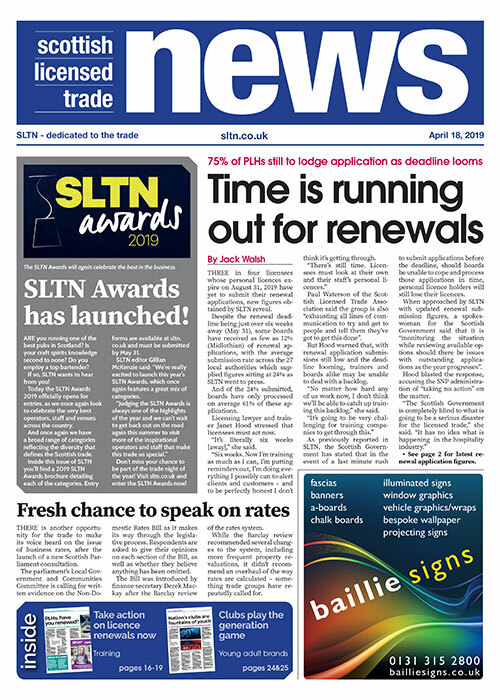 Now in their 16th year, the SLTN Awards recognise excellence across Scotland’s diverse hospitality sector. “We’re living in very challenging and uncertain times, but the Scottish hospitality industry continues to shine,” said SLTN editor Scott Wright. The prize draw raised more than £4000, which will be split between licensed trade charity The Ben and Whizz-Kidz, which provides wheelchairs for disabled children.